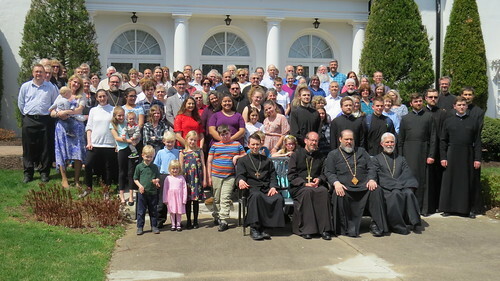 On Saturday, April 13, 2019 the Annual Eastern Region Lenten Retreat took place at St Francis Center For Renewal in Bethlehem, PA which was co-sponsored by the Ukrainian Orthodox League of the USA and the National ACRY. 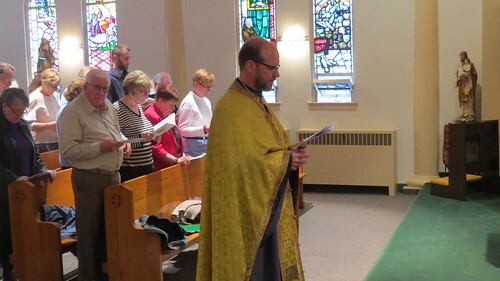 Metropolitan Gregory and Fr. 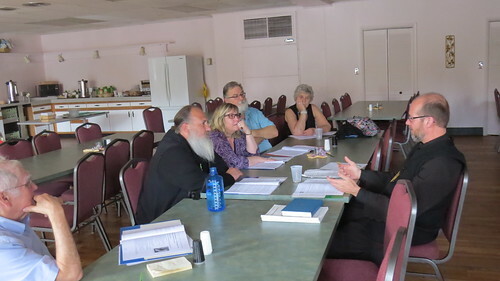 Anthony Perkins lead the adults and adolescents in a discussion of the topic: "Focusing on the Ladder of Divine Ascent and Our Spiritual Journey One Step at a Time." Fathers. 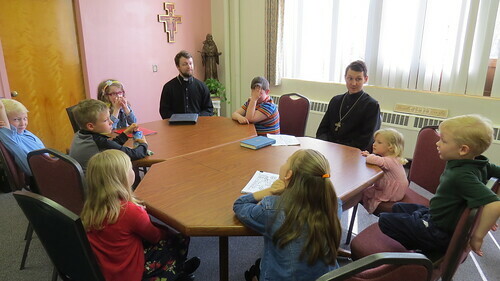 Matthew Stagon and William Bennett also served as retreat masters for children ages 7-12 and spoke on the topic:" All Strings Detached: Freeing our Hands and Feet to Climb. " 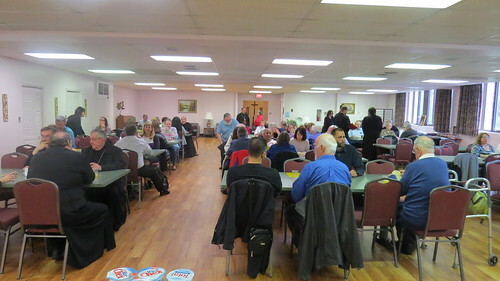 Posted photos show scenes from the Retreat. Following an early Liturgy and Morning Prayers all enjoyed a delicious continental breakfast. 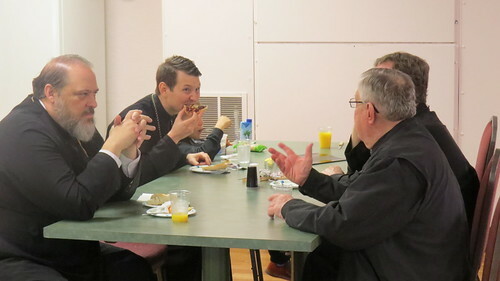 Metropolitan Gregory and Diocesan Clergy enjoying fellowship over breakfast. 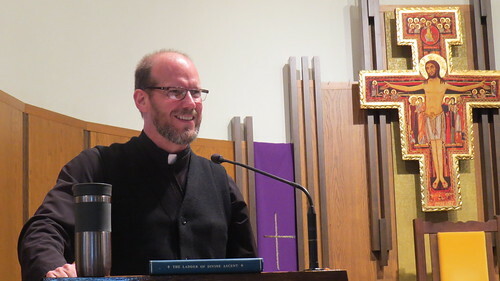 Father Anthony Perkins offered the first Keynote Address. 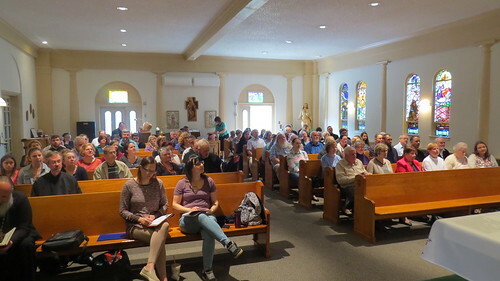 Father Anthony gave an engaging presentation on the meaning of the various rungs on the journey to Paradise as set forth by St. John Climacus in his classic writing The Ladder of Divine Ascent. 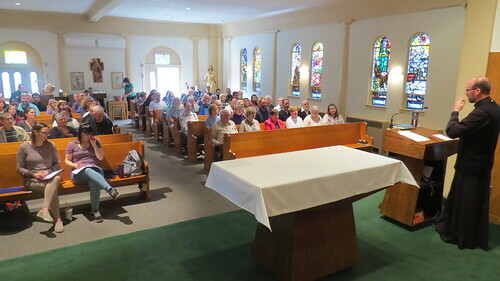 The faithful listened attentively to Fr. Anthony's presentation. Fathers William Bennett and Matthew Stagon led the youth component of the Retreat. These children attentively listened to the youth presentation. 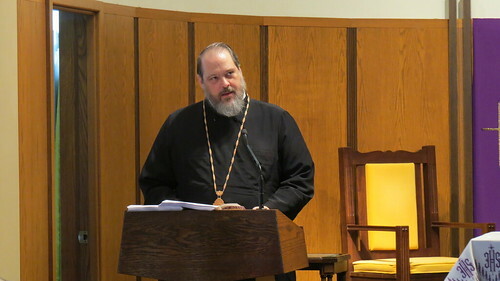 Metropolitan Gregory was the afternoon keynote speaker. 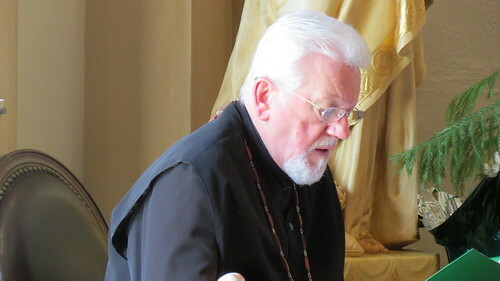 Metropolitan Gregory also offered helpful commentary on the Ladder of Divine Ascent. It was a joy to have His Eminence, Metropolitan Antony in attendance during the afternoon session. 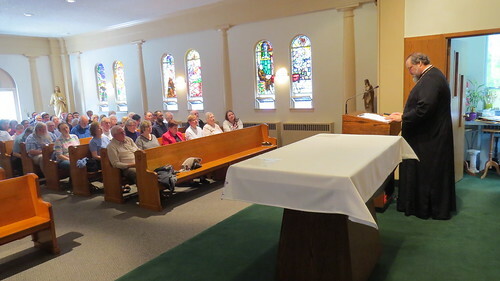 The retreat program ended with the celebration of Great Vespers by Fr. Anthony Perkins. 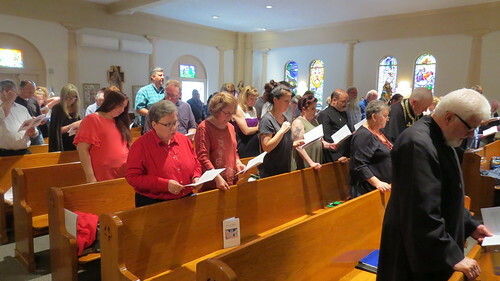 The faithful in prayer at Great Vespers.